Legal ethics panels in a few states – most recently New Mexico and Ohio – have warned local attorneys that helping medical marijuana businesses can be a violation of professional rules of conduct. The non-binding opinions could make it tougher for MMJ businesses in those states to get legal representation. 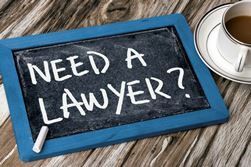 The recent opinions caution lawyers that assisting a cannabis business can be tantamount to helping a client break federal law, given marijuana’s status as a Schedule 1 controlled substance. While differing from opinions issued in most states, the warnings given in New Mexico and Ohio – and earlier in Connecticut – have triggered alarm bells among some lawyers and cannabis entrepreneurs. At least one New Mexico MMJ business owner said his lawyers – apparently fearing disciplinary action – dropped him in response to the recent judgment issued by the New Mexico State Bar Association’s Ethics Advisory Committee. Professional legal ethics boards in New Mexico and Ohio issued their opinions this month – although on Wednesday the Ohio Supreme Court signaled it might rewrite its ethics rules to permit attorneys to help MMJ firms. The Connecticut Bar Association’s ethics committee opined in 2013 that counseling cannabis businesses would violate federal law and therefore the group’s ethics code. In Maine, a professional ethics panel under the state’s Supreme Court ruled in 2010 that local lawyers assisting medical cannabis clients would be violating codes of conduct. But the panel reversed that opinion in May, and now says lawyers can assist marijuana businesses. Across the nation, Connecticut, New Mexico and Ohio are the exceptions. Ethics committees in many more states have reasoned that lawyers should be permitted to counsel marijuana businesses operating within the bounds of state law. States that have explicitly said lawyers can provide legal assistance to a potential client include: Arizona, Colorado, Illinois, New York, and Washington State, while Nevada, Florida, and Minnesota have passed statutes or enacted policies that protect lawyers with cannabis business clients, according to the National Cannabis Bar Association. The State Bar of Michigan’s Marijuana Law Section submitted a request in July that the Michigan Rules of Professional Conduct be revised to make clear that attorney can represent cannabis businesses. The American Bar Association hasn’t issued any specific policies on the question, but is studying the issue. But there’s a silver lining for MJ entrepreneurs in states where lawyers have been warned: It’s still possible to find attorneys who will represent state-licensed marijuana businesses. “It was more of a risk for sure, but it was a risk I was willing to take,” said Christopher McCabe of McCabe Law in Portland, Maine, whose clients include cultivator caregivers, investors and real estate businesses. Becky DeKeuster, who in 2010 co-founded the Wellness Connection of Maine, which operates four of the state’s eight medical cannabis dispensaries, said her business didn’t have “too much trouble” locating a law firm. She and her colleagues asked several firms to represent them, and put them at ease through their professionalism. Donovan Vestal, executive director of Red Barn Growers in Gallup, New Mexico – a medical marijuana cultivator – also isn’t worried that his lawyer, who’s on a retainer, will abandon him. “Our attorney doesn’t have any issues,” Vestal said, noting that she helps occasionally with general business issues. He also made clear that she doesn’t provide advice on transactions involving cannabis. But the opinions have dissuaded some attorneys. “It is causing a lot of concern among lawyers and quite frankly it should,” Tom Haren, an attorney with Ohio-based Seeley, Savidge, Ebert & Gourash, said. “What you have is the Board of Professional Conduct flat out telling you that if you engage in certain activities when you’re representing clients you could be subject to discipline. They lay out pretty clearly the types of things that could give rise to disciplinary action,” he added. Until things change, Haren said getting involved would be a bad idea for lawyers, and that MJ clients should have second thoughts about lawyers who ignore the opinion. “Folks need to be very careful about working with attorneys who would disregard this opinion. That’s just too cavalier for this industry,” Haren said. For his part, McCabe in Maine said that while he welcomed the rule relaxation in his state, he won’t be completely comfortable representing business clients until marijuana becomes legalized at the federal level. “Until it’s completely descheduled, I’m going to be feeling hot,” McCabe said. This could have changed at any time in the last eight years. Never tell me Obama is a green President. an oxymoron to use the word ethics in regards to anyone in the legal profession, unless your in the profession that is. After all lawyer’s wrote the Federal law in the first place, and millions of their victims have good reason to scoff at the idea of ethics when it comes to lawyers. But a lawyer can represent mass-murderers? If memory serves this lawyer out approach was tried in Hawaii only to be derailed. Perhaps that could serve as an example of how to suggest this limitation be nullified as I do not recall the details.